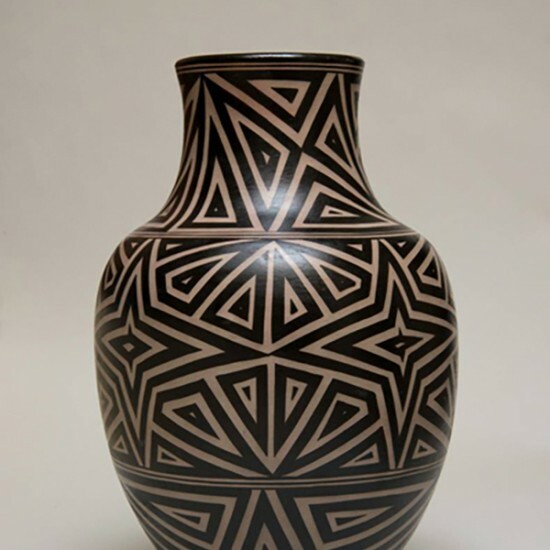 Lisa Holt (Cochiti Pueblo) and Harlan Reano (Santo Domingo/Kewa Pueblo) have been collaborating since 1999. 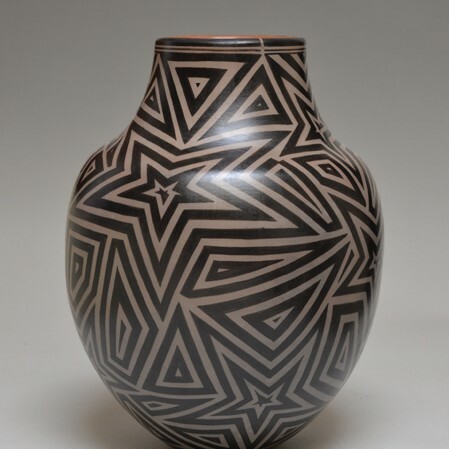 Using Cochiti clay, Holt creates the ceramic forms while Reano paints the surfaces with distinctive designs in cream and black. 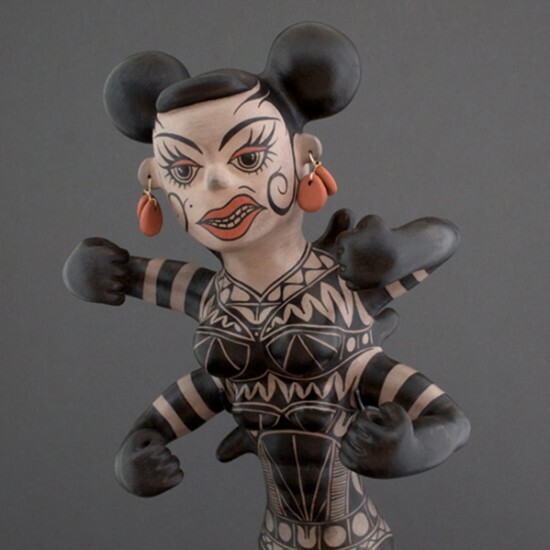 The designs, painted from natural pigments, are sometimes inspired by older Santo Domingo pottery, but mostly are Reano’s personal creations. Lisa and Harlan fire the finished pieces together. 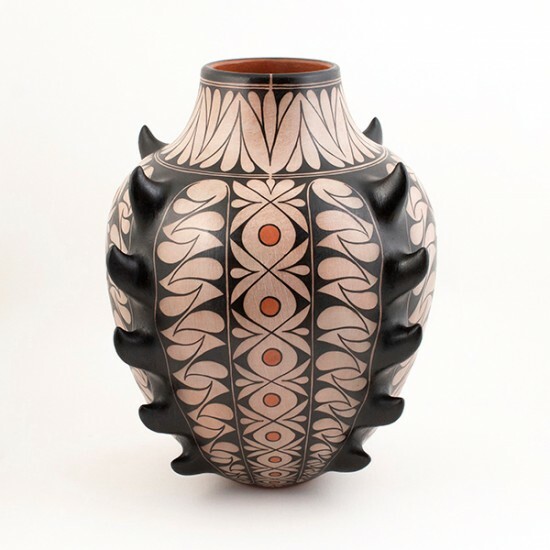 Holt is half Cochiti on her mother’s side and comes from a renowned family of potters. Her grandmother is the well-known Cochiti potter Seferina Ortiz, her mother is Inez Ortiz, and she is the niece of Virgil Ortiz. She learned the art of making pottery from her mother and Grandmother. Reano is half Santo Domingo/Kewa on his mother’s side, and he, too, learned a great deal about his art form from Lisa’s mother. Together, Holt and Reano create pottery using all natural materials and fire their pieces outdoors. 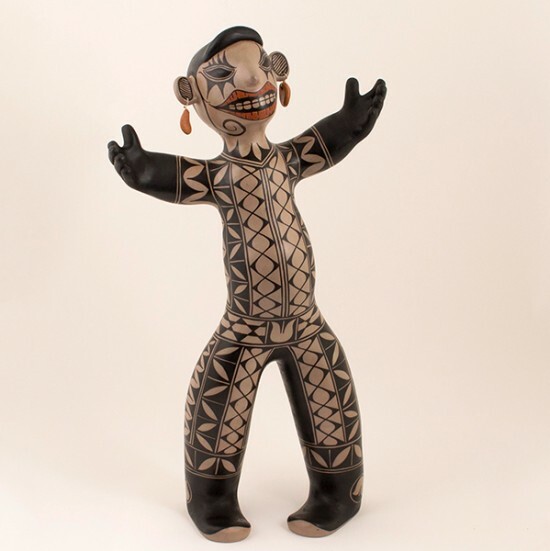 They began their joint venture by creating figurines inspired by the old Cochiti tradition of human and animal forms that included frogs, lizards, and the occasional large olla. 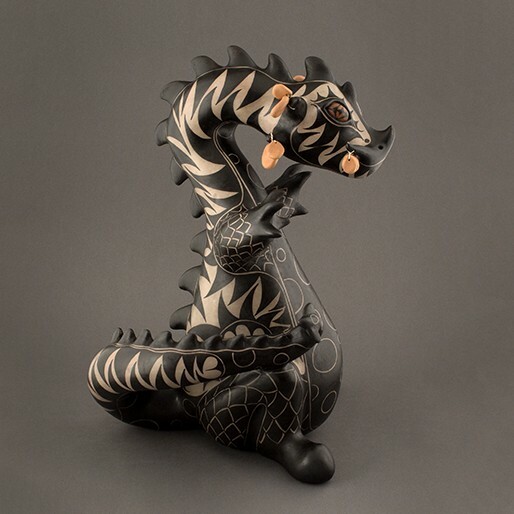 More recently the duo have expanded their repertoire to include pots, jars, and figures which are still traditional but embrace a bolder, more contemporary aesthetic. Initially, Lisa made the pottery and Harlan painted the forms. They now share in the pottery-making responsibility, and Harlan continues to do all the painting. Together they have won many awards. 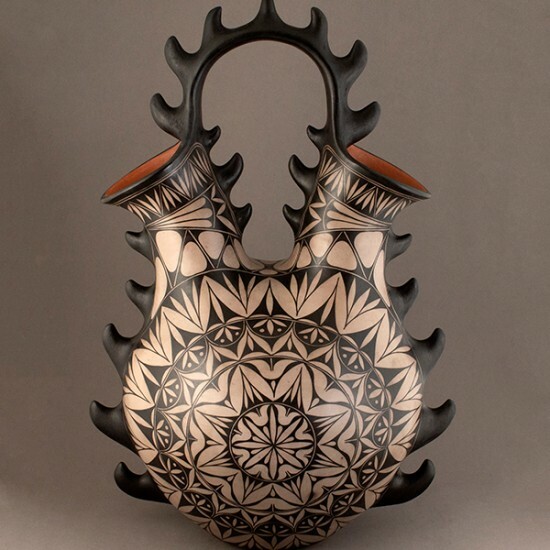 Most recently Best of Pottery at SWAIA’s Santa Fe Indian Market in 2012, and Best of Pottery at the Heard Museum Guild Indian Fair and Market in 2010 and 2011.